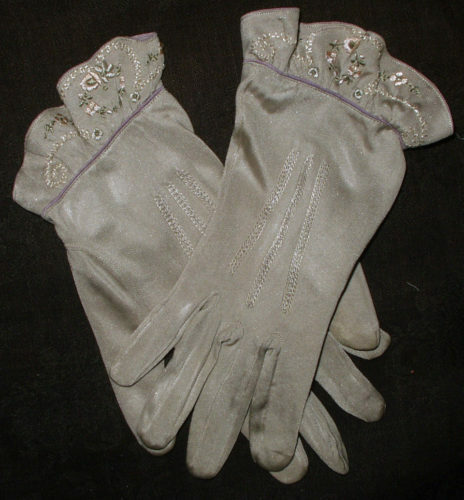 So delicate is the only way to describe this pair of vintage 1930’s The Kayser gloves. Made of silk, the scallop cuff is embroidered with small pink and off white flowers. Scrolling stitchery surrounds the flowers. Back of the cuff fastens with one covered button snap.